Home / SpaGuard Spa Shock 7lb. 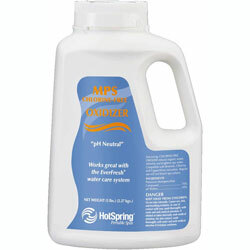 This non-chlorine shock is the ideal oxidizer for spas with an ionizer unit. It makes undesirable compounds disappear. Spa Shock is simple to use – just apply directly into your spa water while the pump is circulating. Try Spa Shock in two convenient sizes of 40-oz and 5-lbs. 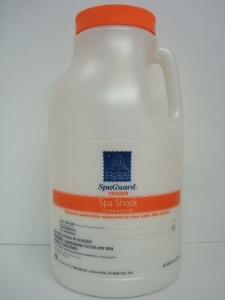 Products Related To SpaGuard Spa Shock 7lb. 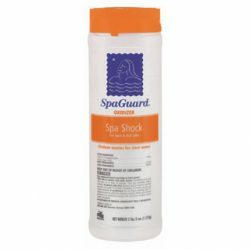 Spa Guard Spa Shock 35oz. Fresh Water MPS Shock 5lbs. Fresh Water MPS Oxidizer 2 lbs.